I haven’t blogged recently on judicial decisions considering the mosaic theory of the Fourth Amendment. As regular readers will recall, the “mosaic theory” is a term for the idea that long-term monitoring of a suspect can be a Fourth Amendment search even if short-term monitoring is not. Under this approach, which was suggested by the concurring opinions in United States v. Jones, surveillance and analysis of a suspect is outside the Fourth Amendment until it reaches some point when it has gone on for too long, has created a full picture of a person’s life (the mosaic), and therefore becomes a search that must be justified under the Fourth Amendment. I think the mosaic approach is a misstep for reasons I elaborated on in this article. And the handful of lower courts to have considered the theory since Jones mostly have not adopted it, either because they found it unpersuasive, because they distinguished Jones on the facts, or because they avoided the question under the good-faith exception to the exclusionary rule. See, e.g., United States v. Graham, 846 F.Supp.2d 384 (D.Md. 2012). In the last week, two district courts have divided on the question: United States v. Rigmaiden (D. Ariz. May 8, 2013), and United States v. Powell, — F.Supp.2d –, 2013 WL 1876761 (E.D. Mich May 3, 2013) In this post, I want to discuss the two rulings, and then offer some critical commentary on Powell at the end. 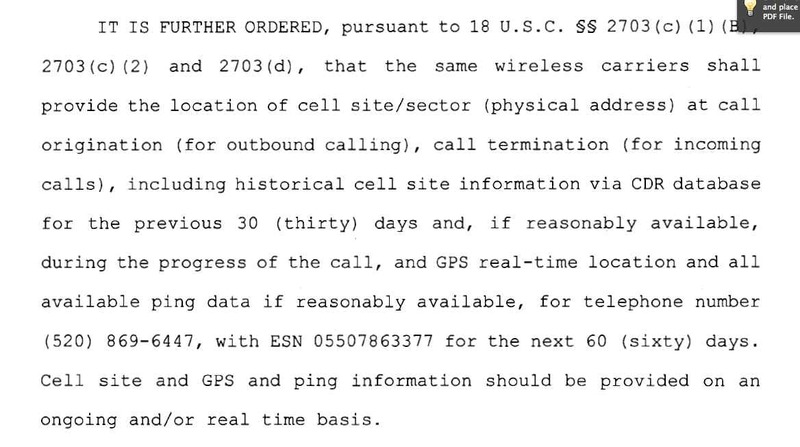 A while back, I blogged at length about the Third Circuit’s pending case involving government access to historical cell-site records. The issue in the case is what legal standard the government must satisfy to obtain orders requiring phone companies to disclose such information. The district court had ruled that a warrant was required, and the government argued that the correct standard under the law was a “specific and articulable facts” court order under 2703(d) rather than a search warrant. Yesterday, the Third Circuit handed down its decision: In The Matter Of The Application Of The United States Of America For An Order Directing A Provider Of Electronic Communication Service To Disclose Records To The Government. In this post will explain the Third Circuit’s decision; try to figure out what it means (which turns out to be quite tricky); and then explain why I think it misreads the Stored Communications Act on an important point.